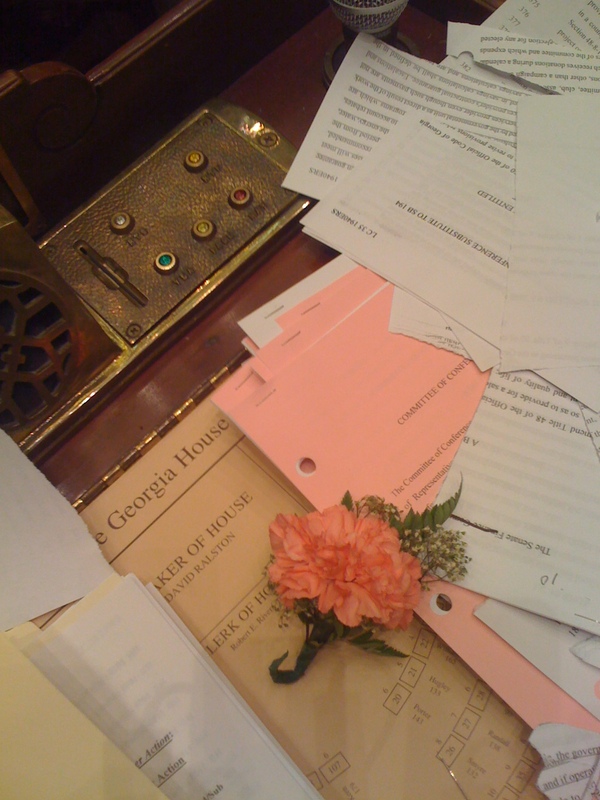 It’s the very last day of the Georgia General Assembly. Or Sine Die (*Without Day*) as it’s commonly referred to. Lots of live action online for you to follow along with. GPB’s Lawmakers, Georgia Public Broadcasting, provide live streams of the chambers. The House live cam/stream is here. The best live blog for your participation (it takes in Tweets using the #GAsinedie and #GApol hashtags too) is here. Also, there will be a 6pm rally at the Capitol today to protest HB87. The immigration bill that’s causing such a stink. It’s a gorgeous day out, and that rally will no doubt be very well attended. Happy Sine Die! And a quickie video package I did for CBS-Atlanta for last year’s Sine Die is here.